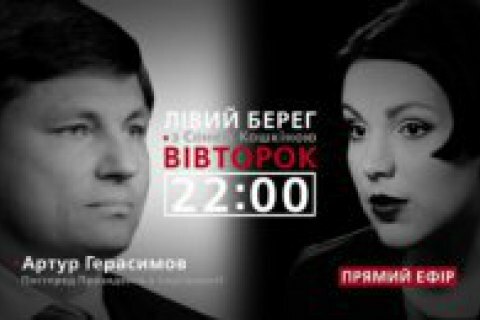 Arthur Herasimov will answer Sonya Koshkina's questions on Channel 24 at 22:00 on March 21. A year ago, before being appointed presidential representative in the parliament, Arthur Herasimov was the most non-public figure in the entourage of Petro Poroshenko. The interview Herasimov gave LB.ua in June 2016 was in fact a presentation and first acquaintance of the general public with the man who has been in close contact with the president throughout the last 18 years. About what has changed over the past year, whether relations with Petro Poroshenko have remained good, the interaction between the Verkhovna Rada and the presidential administration, the key votes, the blockade of Donbas, and many other things, Arthur Herasimov will talk with Sonya Koshkina on the live show Left Bank. Watch the show on March 21 at 22:00 on the Channel 24. Textual version of the interview is expected on LB.ua shortly. After the live broadcast, watch the traditional rubric Postscript with Sonya Koshkina.